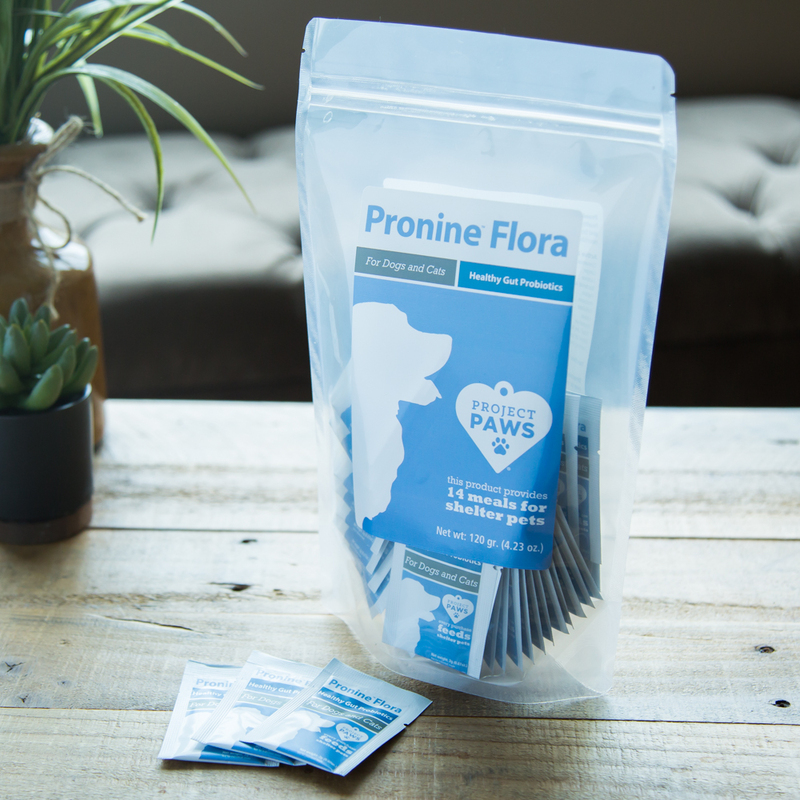 Approximately 70% of a dog’s immune cells reside in the gut, so it is extremely important to their overall wellness that digestive health is maintained. For this reason, veterinarians often recommend probiotics for their canine patients in addition to a healthy diet. 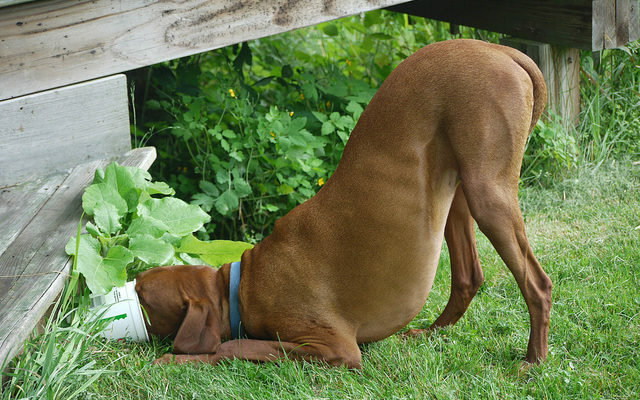 Probiotics balance the “good” and “bad” bacteria in the gut in order to protect the dog’s natural defenses, promote digestive heath, and keep the body working to its full potential. According to Dr. Marcella D. Ridgway, Associate Professor of Veterinary Clinical Medicine at the University of Illinois, the microorganisms in probiotics also have a positive impact on obesity, liver disease, and behavioral disorders in dogs. They may even improve bad breath, skin and coat appearance, allergy symptoms, and yeast-associated disorders. 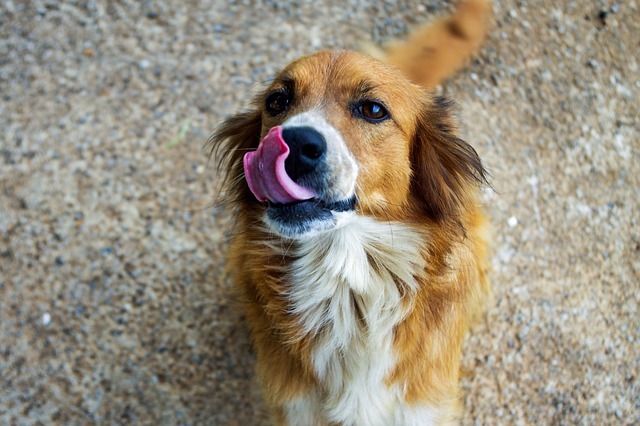 Best of all, introducing probiotics into a dog’s routine is surprisingly easy because they happen to be found naturally in several of their favorite healthy foods! Plain yogurt is an excellent source of bifidobacteria, lactobacilli, S. thermophilius and several other “good” bacteria. Not only is it a delicious treat for your pup, yogurt helps prevent and treat gastrointestinal upset and keeps fungal infections at bay. The active or live cultures in yogurt can also help protect your dog’s delicate digestive system from the effects of antibiotics; especially diarrhea, vomiting, and irritable bowel syndrome. Small quantities of cheese are generally safe for dogs unless they contain toxic additives like garlic, are too high in fat, or your pup is lactose intolerant. Soft cheeses such as Swiss, Gouda, and Cheddar contain lactic acid bacteria that have been proven to kill infectious bacteria, enhance your dog’s ability to absorb beneficial nutrients from his or her food, and relieve constipation. 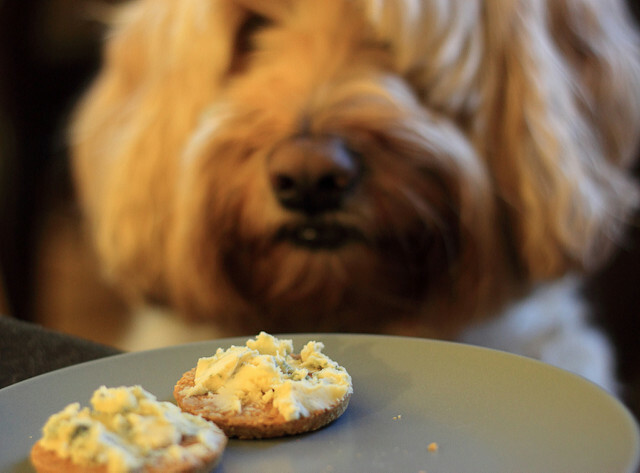 While harder cheeses may also contain probiotic bacteria, they are not able to withstand the acidic environment of the canine digestive tract long enough to be beneficial. The bacteria found in fermented soft cheeses are able to survive our pups’ gastric juices and reach their intestines intact. Live cultures are added to buttermilk in order to help ferment sugar, resulting in the same lactic acid bacteria found in soft cheeses and yogurt. However, buttermilk must be given in powdered form or right from the carton, since heating or cooking it destroys these beneficial bacteria. Powdered buttermilk also has the additional benefit of reducing tear staining in dog breeds susceptible to runny eyes when sprinkled directly onto wet food. Kefir is a cultured milk product with a similar taste and texture to yogurt, but is thought to contain up to three times the amount of probiotic bacteria. This is because kefir is made by fermenting milk with 10 to 20 different types of bacteria and yeasts, while yogurt uses just a handful of types. 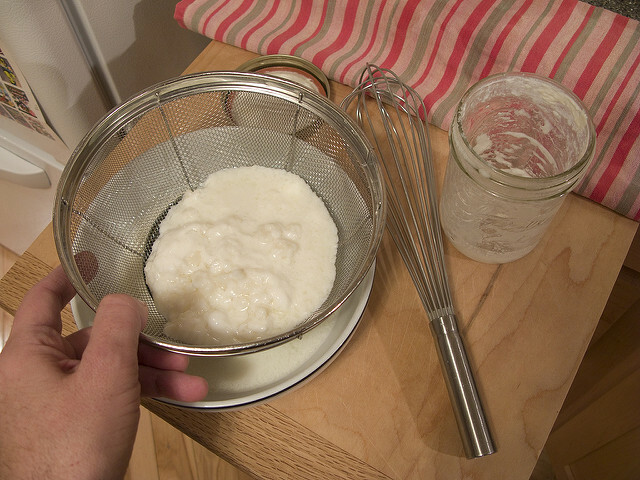 Kefir can be made using cow, goat, rice or coconut milk and powdered or granulated kefir. The resulting product not only packs a punch of probiotic bacteria, it is also a great source of yeast, vitamins and proteins. 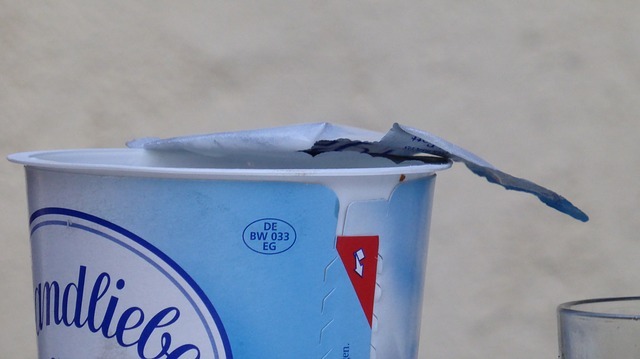 Many of the same active cultures typically found in yogurt – including L. acidophilus and B. bifidum as well as four strains of lactic cultures – can also be found in cultured cottage cheese. Regular cottage cheese does not have the same probiotic benefits, so be sure to choose the cultured variety from your local health food store.